Women's XL. 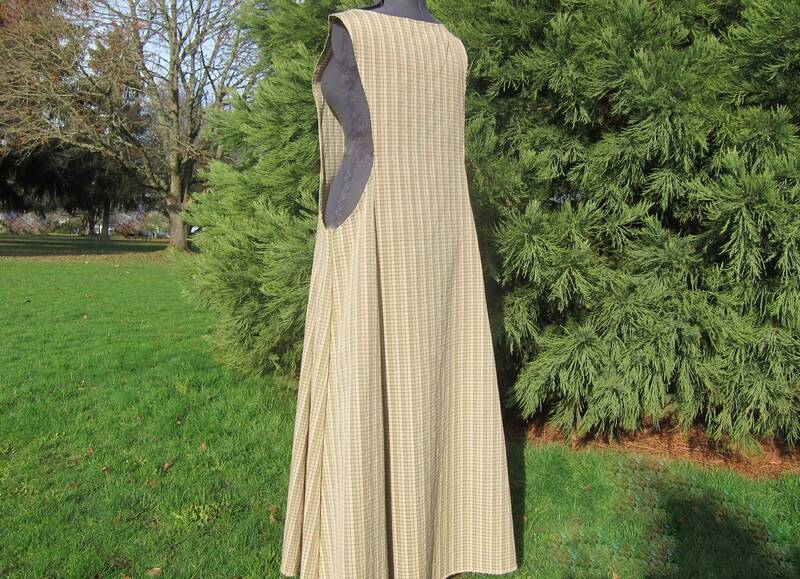 This piece is a woman’s Renaissance sideless surcoat. It has a green Plaid Celtic pattern. 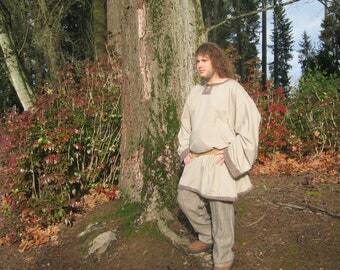 The surcoat is made with a woven polyester-cotton blend fabric for easy care. 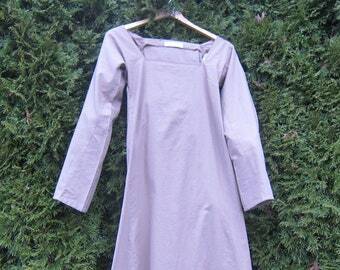 The sturdy woven fabric with loose fitting tailoring is suitable for a working woman in the Renaissance period. The plaid gives it a Celtic tone. The sides are open from shoulder to the top of the hip. 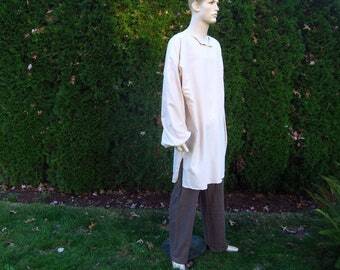 Eeither a snug or loose fitting chemise is worn underneath. 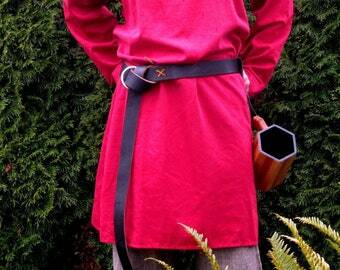 A belt can be paired with the piece to pull it in and make it more fitted. Extra large gores add fullness in the skirt. 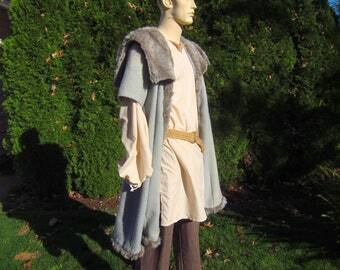 This was a phenomenal cloak that worked for my character cosplay so well, and the craftsmanship was exquisite! Je me suis trompée dans la taille, c'est trop grand, faites donc bien attention. Mais pour moi ce n'est pas gênant, je mettrais la ceinture sur un costume. Livraison rapide et emballage très soigné. Fantastic quality. Feels great to wear and looks exactly as pictured. We accept payment by PayPal, Visa, MasterCard, American Express, Discover and Etsy Gift Cards. Your purchases are packaged and shipped after confirmation of payment is received. Cancellations can be made, with a full refund, if the order is cancelled before the shipping label is purchased. I recommend calling to cancel an order since I strive to mail orders as soon as possible. If the shipping has been paid and the package has been posted when the cancellation request is received the purchaser will be responsible for returning the package to Rough Green Edges, 2114 Homedale Rd. Klamath Falls, OR 97603 at their own expense. Once the merchandise is received at 2114 Homedale Rd. Klamath Falls, OR 97603 and I've confirmed the item(s) are in the same condition they were sent in a credit will be issued through Etsy for the price of the cancelled order minus shipping costs. I am happy to discuss any additional concerns or questions - please message me or call me at 541-892-8562 . We stand behind all our creations! If you are unhappy with your purchase for any reason please call us at 541-892-8562 and let us if you would like to return or exchange it. We have a 100% return policy if you contact us within 10 days of receiving your order. We know satisfied customers are repeat customers! All listed items are already made so I ship as soon as payment is confirmed. Unless otherwise requested I ship items in padded envelopes. When the order size warrants a box I use the US Postal Service flat rate boxes. Whenever possible I am happy to customize my creations to better suit my buyer. 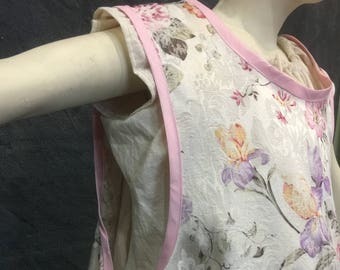 Adding length to sleeves or the body of a garment can often be done but due to the recycled nature of my materials exact matches can not be promised. Often complimentary colors and/or fabrics will need to be used. Not all styles or garments lend themselves to alteration or customization. Please contact me so we can discuss your custom order ideas.